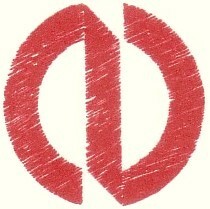 Joe - founded Oldfield Design Ltd as a private architectural practice in 1985. Having gained many years experience working for others, he took the decision to create his own private practice. Joe is a Planning and Architectural Consultant and also the Managing Director of the company. 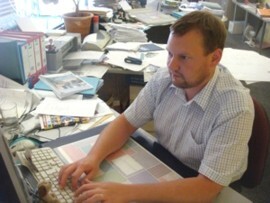 When he's not creating designs for clients, he's a keen sporting enthusiast. He is still involved with Bakewell Mannerians rugby union team and you may well come across him walking the countryside, both around the Peak Park and further afield. Joe has completed the 'coast to coast' walk in recent years and plans to walk from John O'Groats to Lands End, erm.... "one day"
Joe enjoys music and would have you believe that he's a pretty good singer. He is frequently told by his colleagues that he sings the wrong words and is not 100% in tune, but that doesn't deter him; insisting "it's just my own take on the song". Joe is hoping to be an X-factor finalist in the near future... Joe also collects bicycles, keeping a growing collection on display in the office. These are cheifly decorative items which he actually rides as rarely as possible. 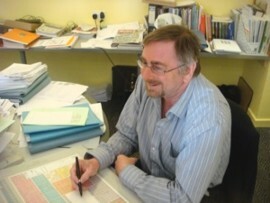 Malcolm - is currently the second longest serving member of staff after Joe himself. Malcolm originates from Norwich before moving to the Derbyshire Dales and now to north-east Derbyshire. He still retains a little of his East Anglian accent. 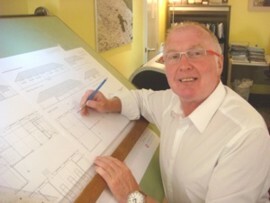 Malcolm is an Architectural Technician and is responsible for much of the technical side of Oldfield Design's work. Outside of work, Malcolm enjoys music, comedy and playing snooker, having been a member of a snooker team in the local league for many years. Malcolm too is a keen walker and most weekends he likes to get out in the fresh air. He holds an interest in birds and nature in general and so happliy 'bird-spots' while he's out walking. Andrew - joined Oldfield Design in the Autumn of 2001 and Andrew expects huge celebrations will be laid on when his 10year 15 year 20year anniversary arrives. Andrew grew up in nearby Ashford-in-the-Water, but has now moved to more Arctic climes, close to Buxton. Andrew is a Planning & Architectural Consultant and enjoys wrestling with the latest planning policies, guidelines and processes. Andrew is also responsible for ensuring the IT in the office is always ready for action and also for maintaining this website. Away from the office, Andrew has two children who keep him on his toes constantly. He enjoys music of almost all genres - from classical to rock, from The Beatles to Mika but feels that "music aint what it used to be!" He would ideally never be too far from some source of music. He's a keen follower of sport of almost any form and you shouldn't be surprised to bump into him cheering on a three-legged, donkey, running backwards, at your local racecourse. Andrew (with much encouragement from Joe) took up running in June 2011, which evolved into a keen interest in cycling. Oldfield Design Ltd support the local Secondary School, Lady Manners School, by taking part in their work experience programme. Every summer we offer placements for several students, offering them an insight into working life generally, in addition to the experience of what is involved in working in an architectural practice specifically.